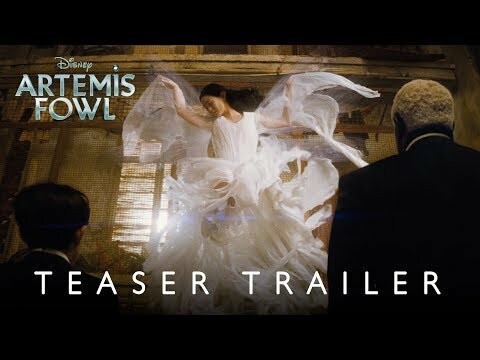 Disney’s ‘Artemis Fowl’, based on the beloved book by Eoin Colfer, is a fantastical, spellbinding adventure that follows the journey of 12-year-old genius Artemis Fowl, a descendant of a long line of criminal masterminds, as he seeks to find his father who has mysteriously disappeared. With the help of his loyal protector Butler, Artemis sets out to find him, and in doing so uncovers an ancient, underground civilization—the amazingly advanced world of fairies. Deducing that his father’s disappearance is somehow connected to the secretive, reclusive fairy world, cunning Artemis concocts a dangerous plan—so dangerous that he ultimately finds himself in a perilous war of wits with the all-powerful fairies. The upcoming Artemis Fowl Cinema release date is August 9, 2019 in the US and the UK. Notify me when Artemis Fowl Cinema is available.